I’ve been obsessed with pie since I was very small, and I’ve been making them since I was 7. I figured if I knew how to make pie, I could have it whenever I wanted, and I wouldn’t have to get someone else to make it. Over the years I’ve learned several tricks, and as the weather gets cold and we get inundated with “pumpkin spice” everything, I’m going to share one of those tricks with you. 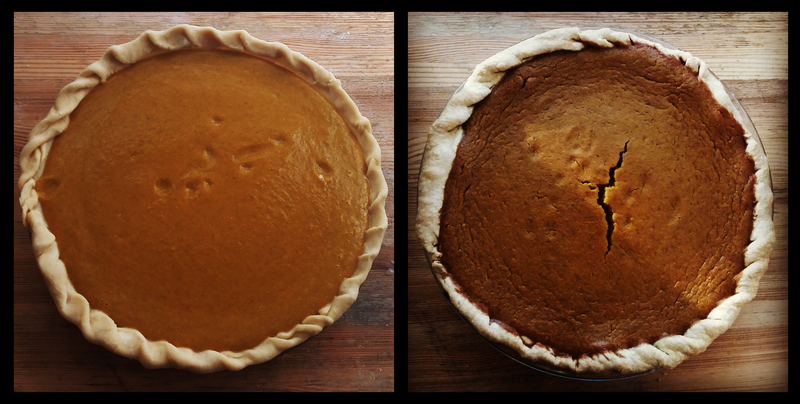 The secret to awesome pumpkin pie? … don’t use a pumpkin. The pumpkin is just one of many different kinds of winter squashes, and there are hundreds more than you will ever find in the store, all with different flavors and textures. I’ve tasted a lot of different squashes, and I must admit, I’ve never found one more stringy (except spaghetti squash, but it’s supposed to be) or with less flavor than a pumpkin. So what’s the best pie squash? My all time favorite is Buttercup. Its blocky shape and often warty skin hides a beautifully dry, yellow/orange flesh inside. The drier the better for pie… instead of extra water taking up valuable filling space, all the liquid being added is milk. Buttercup also has a very fine, flaky texture, and becomes positively silky when blended. Add the fact that it’s sweet and flavorful, and you get the best pie squash imaginable. A close second is Kabocha squash. There are a few different kinds of kabocha; I find the gray/green one called Confection is a little drier than Sunshine, the orange variety, but both have a smooth and flavorful flesh. 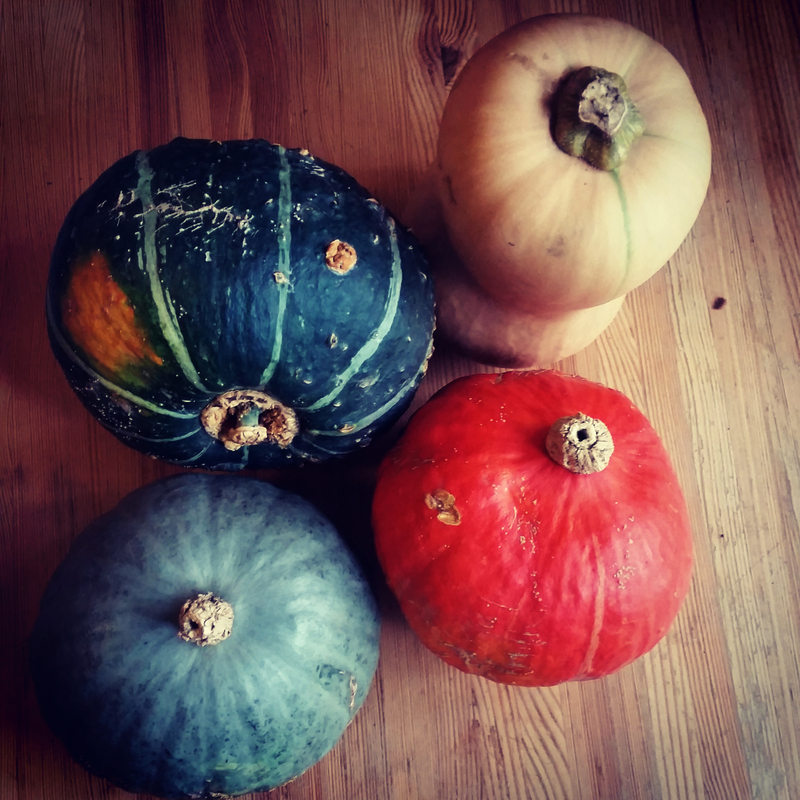 If you can’t find any of these squashes, Butternut is always available and is still preferable to a pumpkin. They have a little more liquid and a little less flavor, but are still pretty tasty, and the flesh is still much smoother than a pumpkin’s stringiness. Here is the pumpkin pie recipe I use, adapted over the years from the Moosewood Cookbook’s “no fault pumpkin pie” recipe. I like this recipe because it uses honey instead of sugar, but you can substitute squash for pumpkin in any pie recipe and you will have an improved pie. 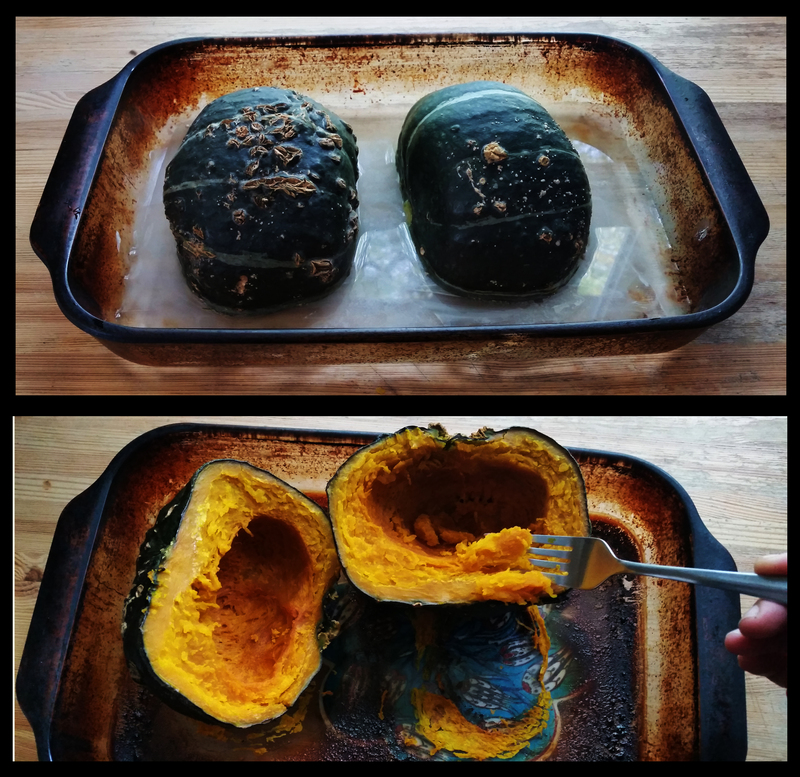 Cut squash in half and scoop out the seeds. Butter the bottom of a baking dish and put in squash, cut side facing down. Pour in about a half inch of water, and bake at 400 degrees for about 40 minutes, or until a fork pierces the skin and the flesh is soft all the way through. Make your crust and chill. 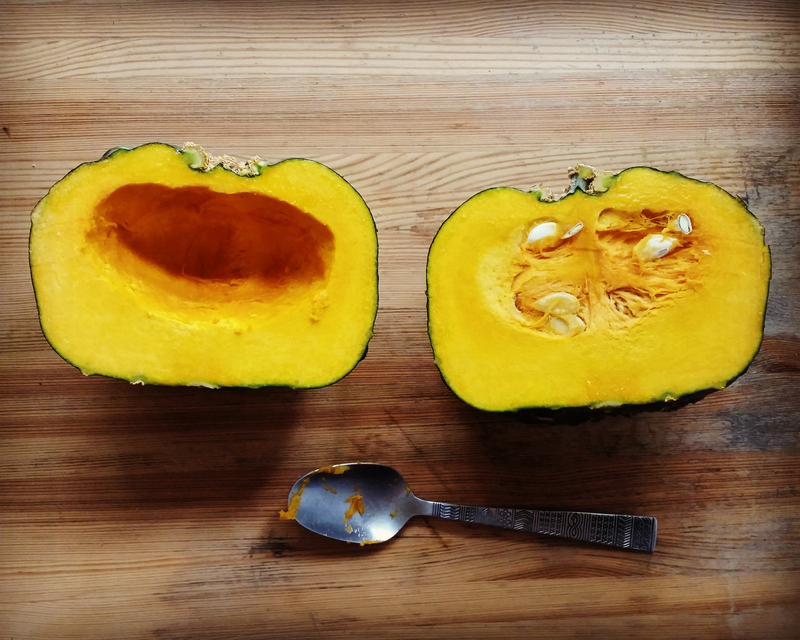 When squash is cooked, measure into a food processor or blender. Add the eggs, honey and molasses and blend for a while, until everything is very smooth. 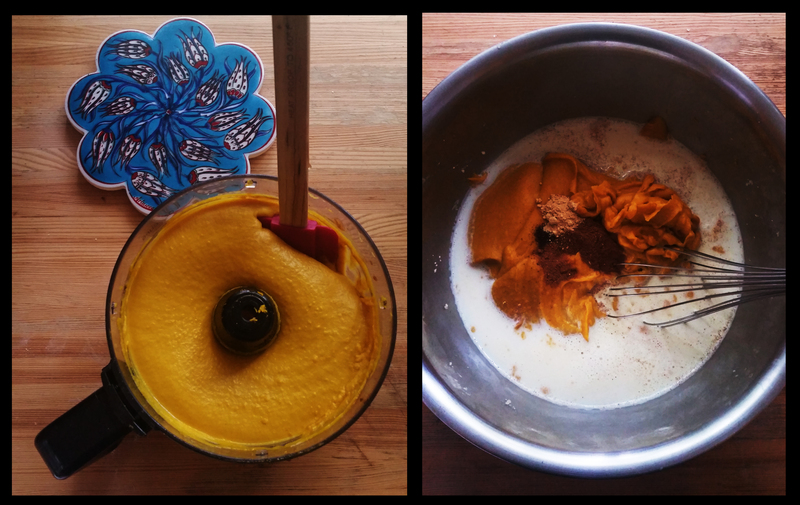 Scoop squash mixture into a bowl, add milk, salt, and spices and whisk together. Roll out pie shell and pour filling in. Bake for 10 minutes at 400, then reduce oven to 350 and bake for another 40 minutes, or until the pie doesn’t jiggle when shaken. There will also probably be cracks that appear in the filling… this is normal, and means the custard has set. Remove from oven and cool. The pie will be fluffed up when done, but the level will drop as it cools. Eat with whipped cream. Eat it again for breakfast. Because pie for breakfast is the best.